Having a customer lifecycle-led, targeted approach to marketing is vital to the Australian Red Cross Blood Service’s efforts to grow its customer database to 580,000 and meet the ever-increasing need for blood donations, its marketing leader says. Speaking at the Adobe Symposium in Sydney, head of integrated marketing communications, Jude Leon, described how the not-for-profit is in the early stages of a digital marketing transformation designed to bring in more than 100,000 new donations over the next couple of years. Each year, the Australian Red Cross collects 1.3 million donations. To do that, it needs to main a loyal group of donating supporters. This means bringing in almost 100,000 new donors every year. This financial year for example, the Australia Red Cross needs to grow its annual panel by 70,000 people, which means bringing in new donors plus increasing the frequency and retention of existing donors - all 460,000 of them - to 485,000. “That’s a really big increase on previous years and we don’t have any additional marketing budget to do that,” Leon continued. “On top of that, we have a growing, ageing population, and a lot more treatable medical conditions that can benefit from blood products. So when we look to the future, we need to grow that panel to grow to 530,000. One tactic that helps boost short-term results is PR, which Leon described as “an amazing tool for us”. “When we push the PR button, that can generate huge amount of earned media, which solves an immediate problem. But it’s hard for us to control and manage,” she said. In addition, traditional media levers have always played a big part in drumming up support. But “megaphone” marketing just isn’t going to cut it anymore, Leon said. Leon was quick to note the Australian Red Cross is at the beginning of this journey, recently taking its first steps to invest in Adobe Marketing Cloud to support its digital marketing shift. But it was clear the roadmap is there, and Leon identified three hurdles to overcome. The launch of a campaign earlier this year showing how a vial of blood has a shelf life of just 42 days had great impact in driving urgency. The problem is the Red Cross doesn’t have the media spend to be in all places at once, Leon said. So it’s looking to be more targeted where it counts. One way is via a trial of targeted Facebook ads, using geotargeting and the name of the centre closest to those interested in donating to better customise the message. To do this, the team needs to factor in requirements of each [centre] – for example, how many collections plus appointments required. As well as being more responsive to individual centre needs, this also means the Australian Red Cross can be less reliant on traditional market research. “We are able to test messages in real time and see how different audiences and channels respond,” Leon said, adding there’s a priority to use data to drive dynamic advertising. The second big challenge is then getting people to give blood. Leon pointed out more than 50 per cent of first-time donors who make an appointment don’t show up. Fear is a big enemy here, she said, and marketing needs to help mitigate anxiety. Initiatives to address this include making the whole process feel more human and less transactional personalised emails. These feature the donor centre and the person who will greet the prospective donor in the physical environment. “As well as feeling making the experience more familiar, it also makes this less anonymous and potentially harder to drop out,” Leon said. The Australian Red Cross’ third challenge is to get donors to come back. Leon noted 44 per cent of first-time donors never return. “It’s not that they have a bad time… Often life just gets in the way and it’s hard to form a habit on something you do every three months,” she said. “One of the most effective things we’ve found is sending people who donate an SMS message, which tells them… where their blood is., and where it is saving lives. 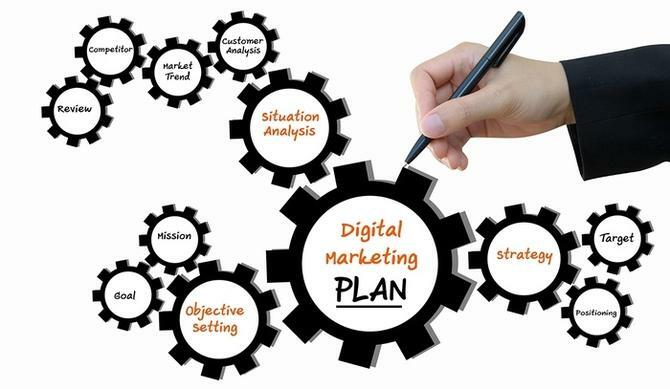 The digital marketing overhaul is ultimately about finding ways to overcome these three hurdles, Leon concluded. “If we can find ways, we feel quite confident we can grow our panel and reach those ambitious goals,” she added.